In Search themes… type ‘Corporate Plus’. Go to the Settings, then Media. How to make the image size as on demo? Click on Save Changes to save the change. to crop the actual size of the images. That’s it! 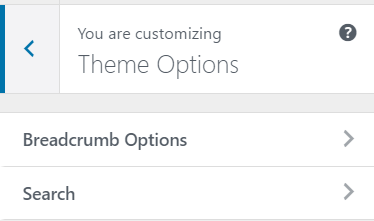 This will work only if you do not rename the theme. Have you updated the theme to the recent version? If you faced any problem, use our support forum. After the updates, an extra section appeared on my home page? How to hide that section? 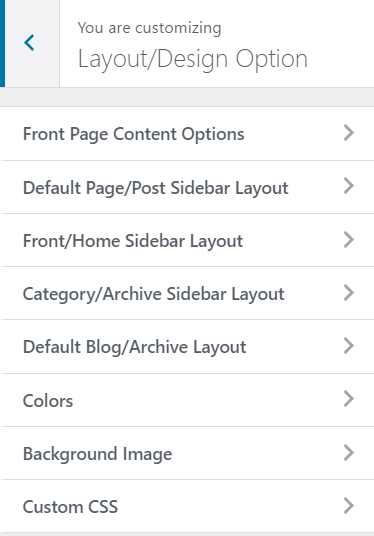 If so, go to customize > layout/design options > front page content option and hide that section as the below. How to make Home Page as demo? 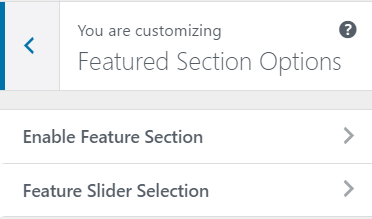 Example: Add “At About Section” Widget and use the available parameters for managing that section. Add others available widgets similarly. ‘Corporate Plus’ comes with advanced Theme Customization options. Go to the Appearance, then Customize. 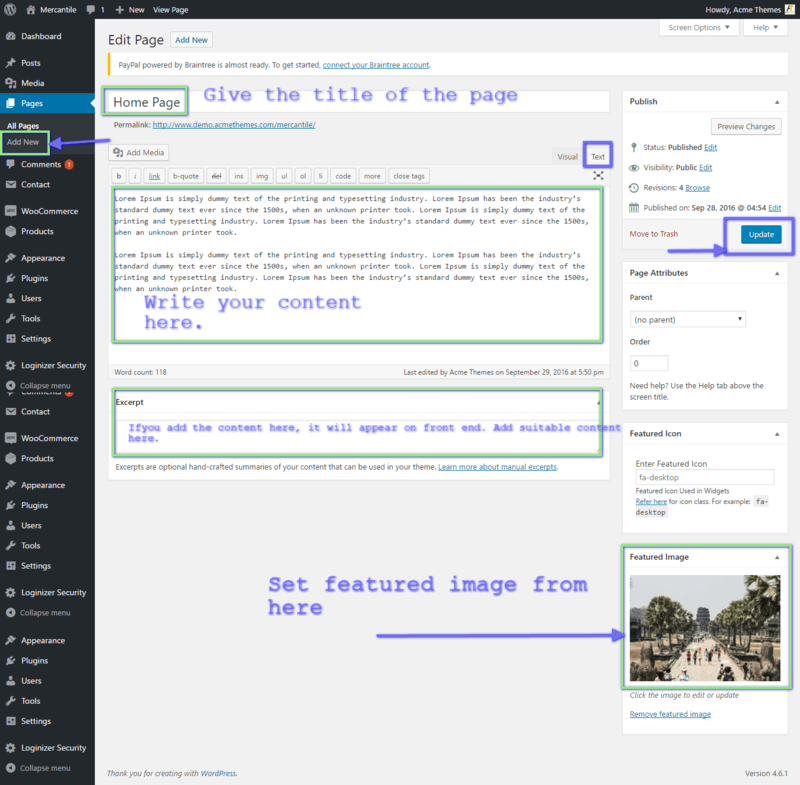 Now you can customize you site with great theme customization options. 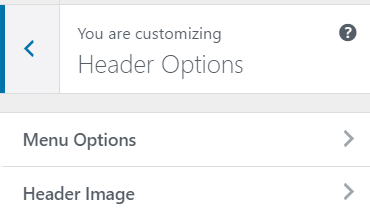 Select parent page for Featured Slider. Select parent page and its sub-pages will be shown is slider. Set the number of slides on Number of slider section. Enter link URL or add below section id. You will have a field to enter section ID on respected section. You can enable or disable this section. After adding/editing them, don’t forget to click ‘Save & Publish’ button at the top. Write the URL for your social links. Check to enable and unchecked to disable social icons. My Slider Image is not responsive, Why? If you choose the responsive image, you need to put the equal size image for the every slider image. Otherwise, the slider height will change due to the various image size. Please follow this blog post to know how to change the default slider text. 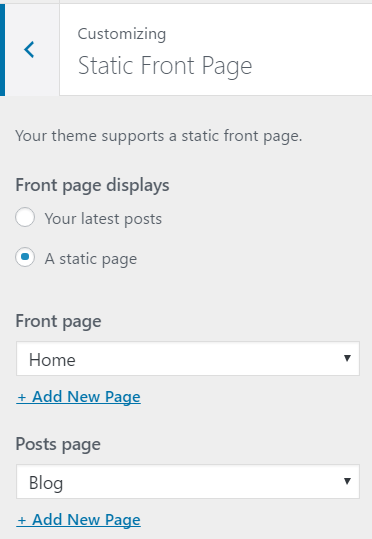 This theme is based on Child/Parent Page, What is Child/Parent page mean? Please follow this blog post to know more about the Child/Parent page. How to make About Section/Services Section on Corporate Plus Theme? For your help, we prepared a blog post to create how to make about/services section. Follow this link. 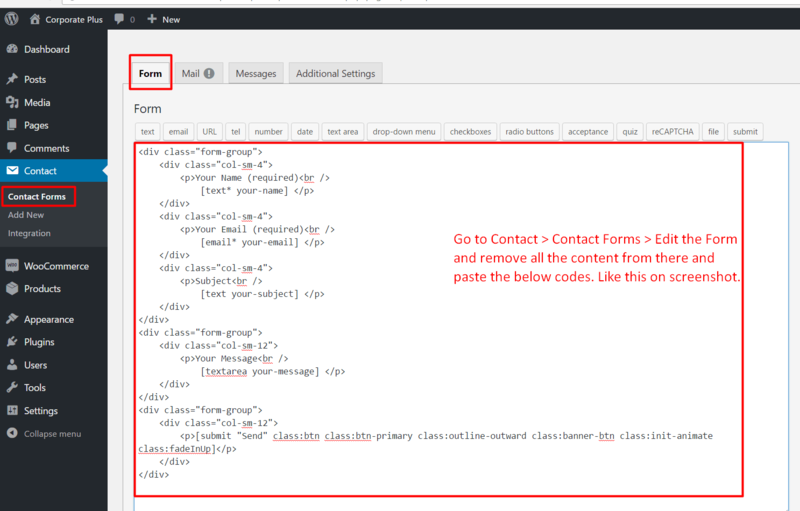 How to make contact from like your demo using Contact Form 7 ? Go to Contact > Contact Forms > Edit the Form and add the below codes on the Form section. Remove the previous codes and paste the below code there. See the below screenshot for the reference.